St. Therese, please intercess for the good health of my MIL, and please ask the Lord Jesus Christ for healing and removal of her tumors. That they may not be cancer and can be removed. And that she see and know it was the Love and Grace of God that healed her! Thank you, St. Therese, Thank You, my Lord and My God! St. Therese, I thank God for my blessings everyday. I pray for everyone praying this novena. I thank God for the gift of our new Granddaughter, Caroline Rose. I pray that my son. Bob, finds the job that will help him grow as a person. God is good everyday…. St Therese Please pray for my jobs. Please hear my novena to you for the safety & health of my daughters, grandson & son in law. Help us to be guided by you. Keep me close to you & help me with my grief over the passing of my beloved husband. I received a strong fragrance of roses in my home on the third day of this novena. Thank you. 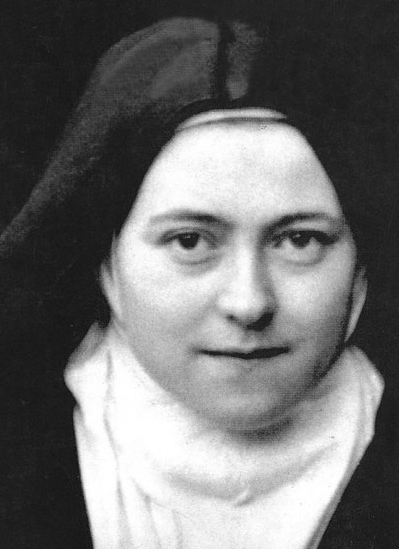 Dearest St. Therese of Lisieux, I humbly come to you to pray for two things: One is for my mother, who suffers from an immense amount of problems, physically, mentally, emotionally, and financially. I pray you help her and our family to remove any evil doing and renew our relationships and help us be united as one, again. Secondly, I pray to you St. Therese of Lisieux, that our short sale transaction be quickly resolved so that we can move in quickly and without delay. I pray that our contract and negotiation be in our favor, and I pray for a quick and speedy response. In the name of our Lord Jesus Christ, I ask you for these favors. Amen. I don’t know if my prayers have been answered yet, but I have seen a flower in an unexpected place every day that I have been praying this novena. For my children to follow Jesus in their lives. May the each find happiness and a loving spouse. Thank you for hearing my prayers for Dianne that she be lifted in spirit and free from anxiety. May she continue to begin each day free of anxiety and depression that she might better serve Our Lord. Remain in her heart Jesus as she is in Yours. In Your Holy Name we pray. Lord I place my family into your hands, keep them safe. Please Lord I pray for financial blessings.please bless and guide my son as he perseu his career goals . Pray for me to increase: my trust in Jesus, and to let go of my past quilt for the things I indulged in before becoming an adopted child of God. Please continue praying for me and for my relationship with my patner to be fully restored, pray that we become happy again for our love to grow and for marriage aswell and that we live together again.